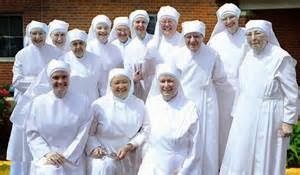 The Little Sisters of the Poor today (Friday) received an injunction from the Supreme Court protecting them from the controversial HHS mandate while their case is before the Tenth Circuit Court of Appeals. The injunction means that the Little Sisters will not be forced to sign and deliver the controversial government forms authorizing and instructing their benefits administrator to provide contraceptives, sterilization, and drugs and devices that may cause early abortions. The Court’s order also provides protection to more than 400 other Catholic organizations that receive health benefits through the same Catholic benefits provider, Christian Brothers. To receive protection, the Supreme Court said that the Little Sisters and other organizations that receive benefits through Christian Brothers must simply inform HHS of their religious identity and objections. The Court said that the Little Sisters did not have to sign or deliver the controversial government forms that authorize and direct their benefits administrator to provide the objectionable drugs and devices. The order was issued by the entire Supreme Court. Justice Sonia Sotomayor, who is the Justice assigned for emergency applications from the Tenth Circuit Court of Appeals, had previously issued a temporary injunction to allow the court time to consider the Little Sisters’ emergency appeal, filed on New Years’ Eve. Prior to the order, injunctions had been awarded in 18 of the 19 similar cases in which relief had been requested. The Little Sisters are joined in the lawsuit by religious health benefit providers, Christian Brothers Services, Christian Brothers Employee Benefits Trust. The lawsuit is a class action on behalf of all the non-exempt organizations that receive benefits through Christian Brothers. The Plaintiffs are also represented by Locke Lord, a national law firm, and by Kevin Walsh, a law professor at the University of Richmond. To date, there are currently 91 lawsuits challenging the unconstitutional HHS mandate. Is this the new face of God?